I honestly love the last Paper Pumpkin kit I got. I wish I had more time to play…anyhow, here is my card for this month challenge with My Pumpkin Challenge. 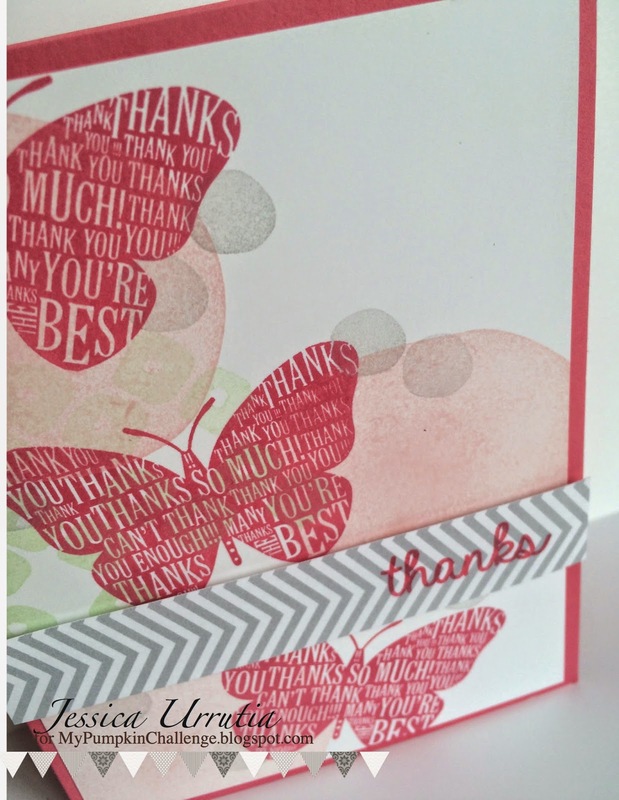 I put it together using Paper Pumpkin stamps and Well Worded stamp set flower. Don't you think this background is so neat? Sale-a-bration is still going one till the end of the month. 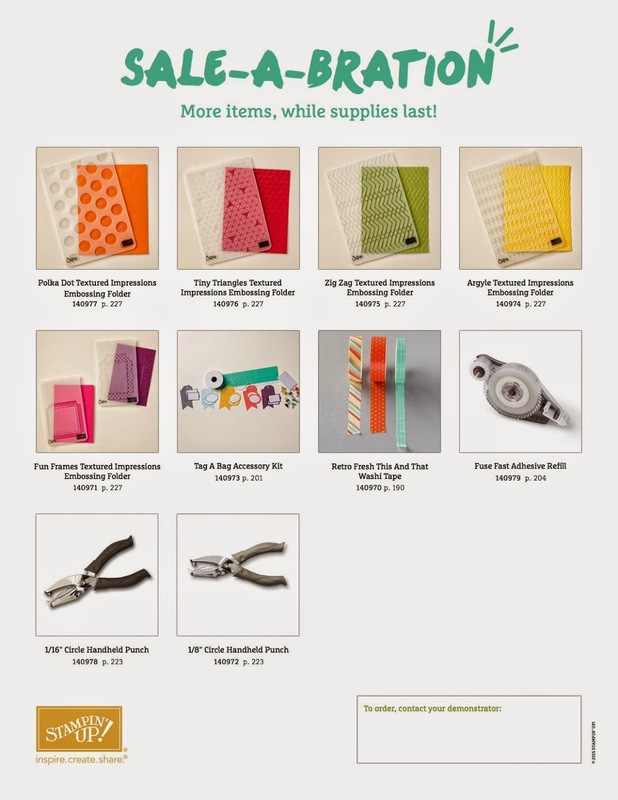 Don't miss getting this super neat Specialty Designer Paper, the Irresistibly DSP. 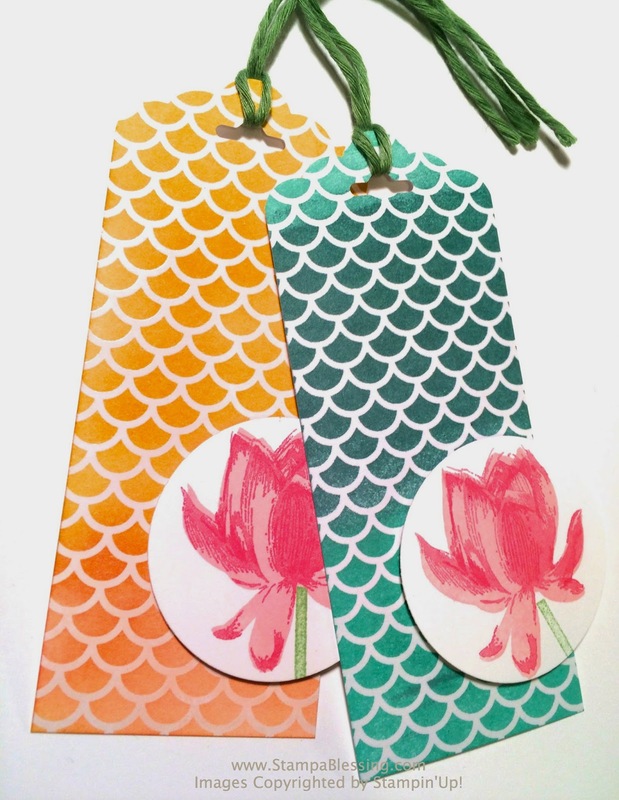 Here I made some bookmarks with the Scalloped Tag Punch and a brayer using the SAB free paper. Which one is your favorite Sale-a-Bration item this year? Mine, by far this awesome DSP. 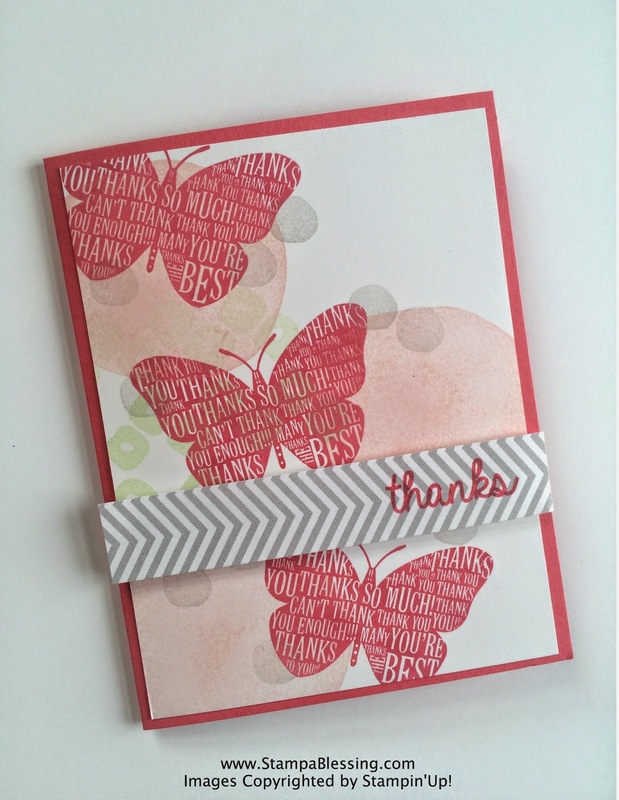 LOVE your card Jessica; love how you used the MPP stamps and made your card a really "happening" one! Very, very pretty and fun, too! Your tags are wonderful also; lovely! TFS!